May 2, 2012: The closest you’ll get to flying. I love the quiet of mornings at the track. 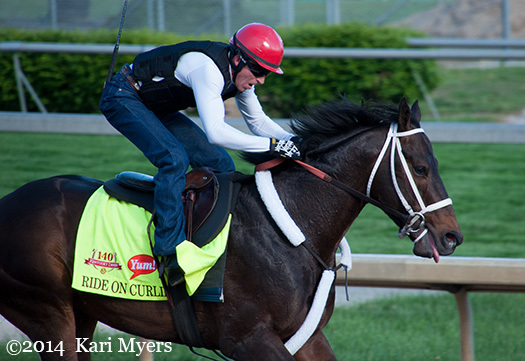 I’m planning on spending a week in Louisville for the Derby, but until then, old pictures will have to suffice. 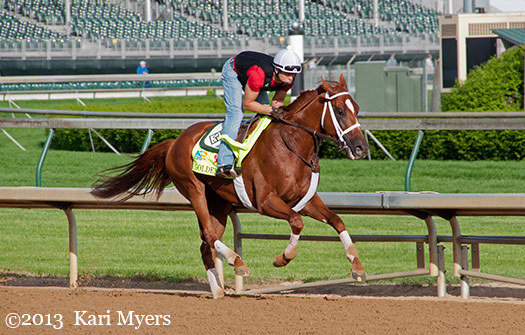 These were all personally taken by me at Churchill Downs during 2012, 2013, and 2014 Derby weeks. 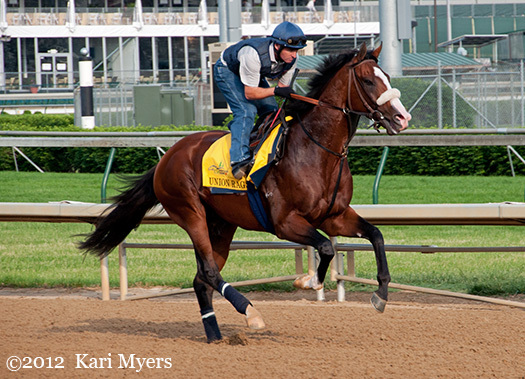 May 3, 2012: Union Rags. 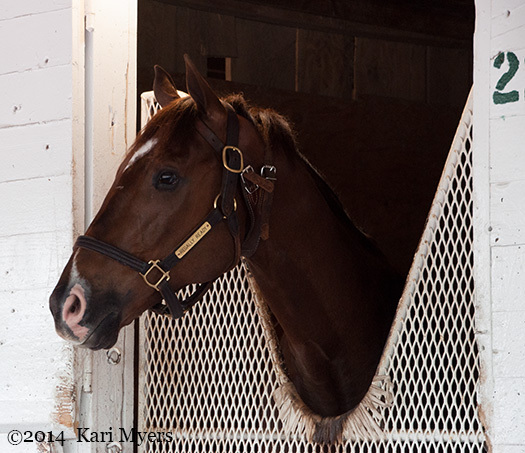 May 2, 2013: Golden Soul a few mornings before his 2nd in the Kentucky Derby. 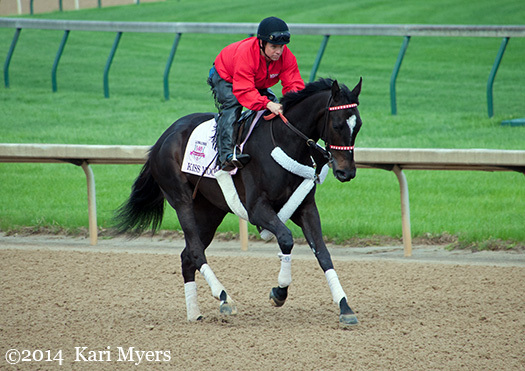 May 2, 2013: Frac Daddy before his run in the Kentucky Derby. May 2, 2013: Unlimited Budget. 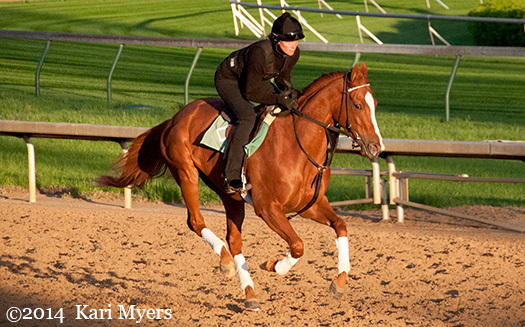 May 2, 2013: Rosie Napravnik on a Wayne Catalano trainee. 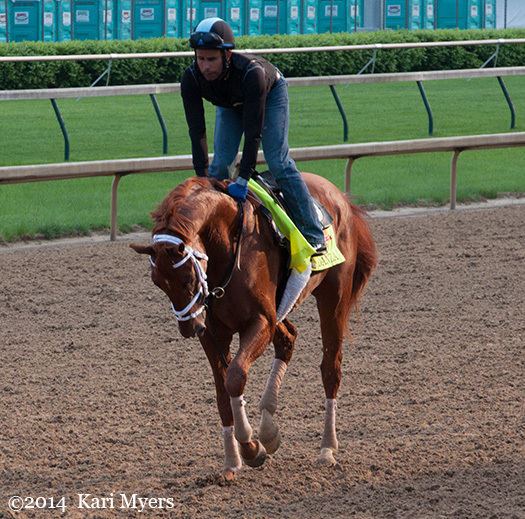 May 1, 2014: Ride On Curlin. May 1, 2014: Fashion Plate. 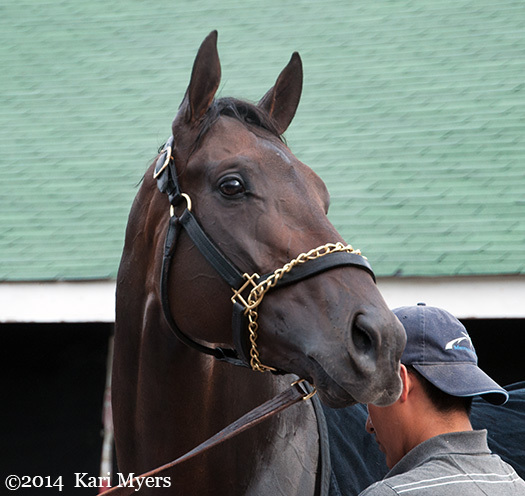 May 1, 2014: Commanding Curve. 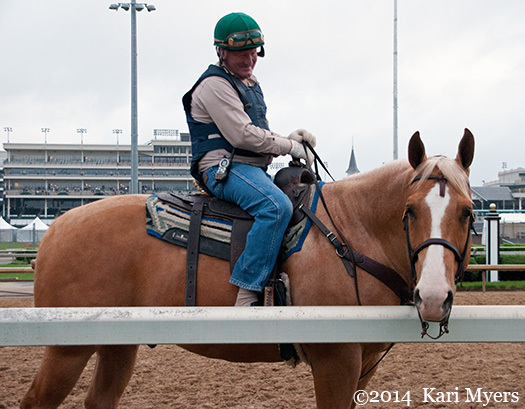 May 1, 2014: A Bill Mott trainee. 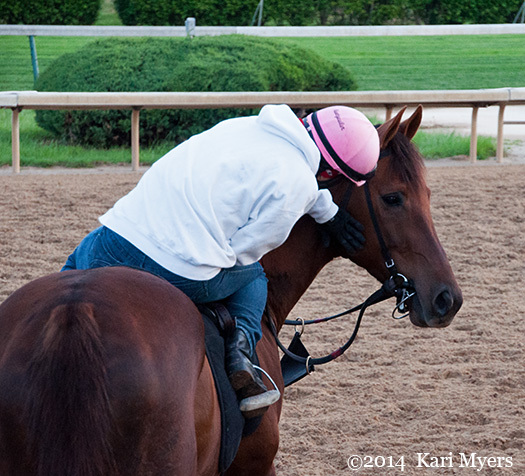 May 1, 2014: Jockey Greta Kuntzweiler and her lovely mount. 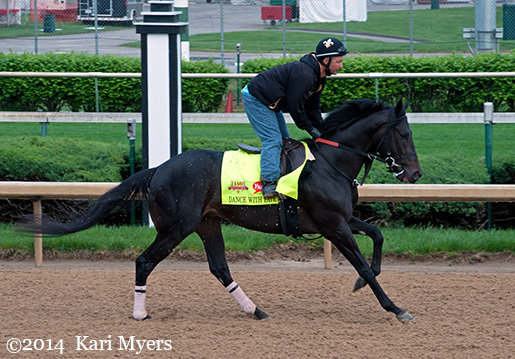 Apr 30, 2014: Danza a few mornings before his 3rd in the Kentucky Derby. 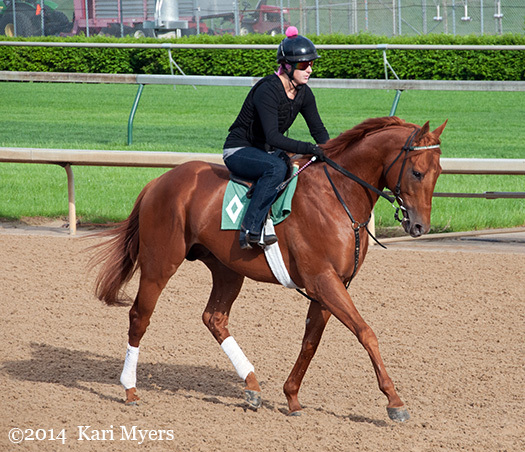 Apr 29, 2014: Seek Again a few mornings before finishing 2nd in the Woodford Reserve Turf Classic, a head behind multiple Horse of the Year Wise Dan. Apr 30, 2014: Dance With Fate. Apr 29, 2014: Kiss Moon. Apr 29, 2014: This adorable pony kept stopping to beg for donuts. 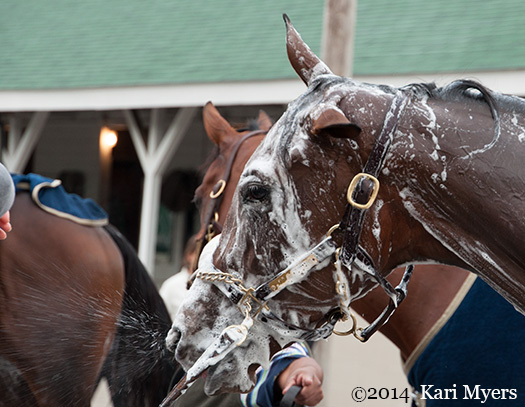 Apr 30, 2014: Little Gidding gives her groom a sudsy snort shower. Apr 30, 2014: Intense Holiday. Apr 29, 2014: Regally Ready and his pink nose. 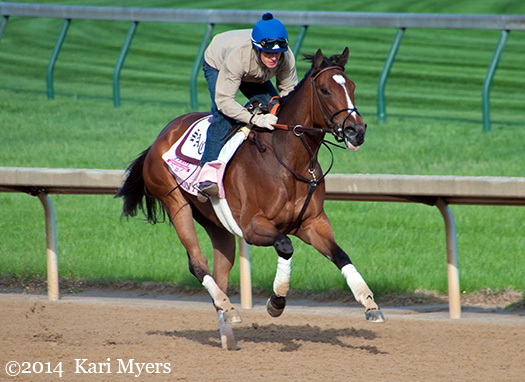 Another Filly in the Belmont? 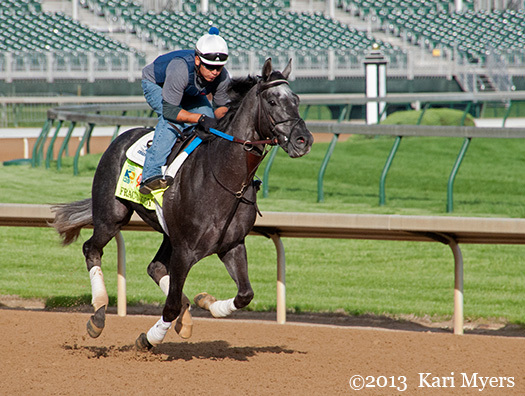 May 2, 2013: Unlimited Budget gallops the morning before the Kentucky Oaks at Churchill Downs. 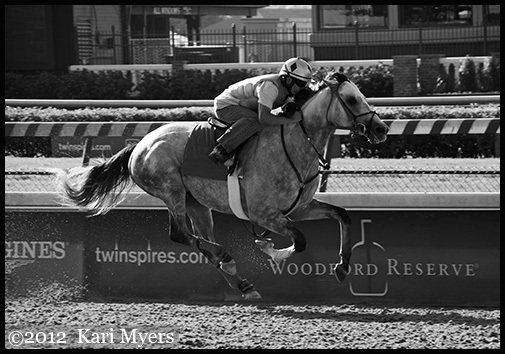 As usual, Todd Pletcher has a stable full of quality horses. 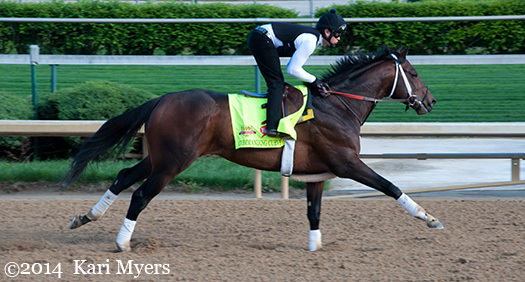 He’s also got a few possible contenders for the Belmont Stakes on June 8. One of these just happens to be the filly, Unlimited Budget, for owner Mike Repole. Unlimited Budget is a daughter of Kentucky Derby winner Street Sense, and the only loss on her resume is a 3rd in the Kentucky Oaks. She’s never raced at Belmont or at the 1 ½ mile distance, but none of the other probable entries have run that far either. I can’t wait to see the list of final entries next week! 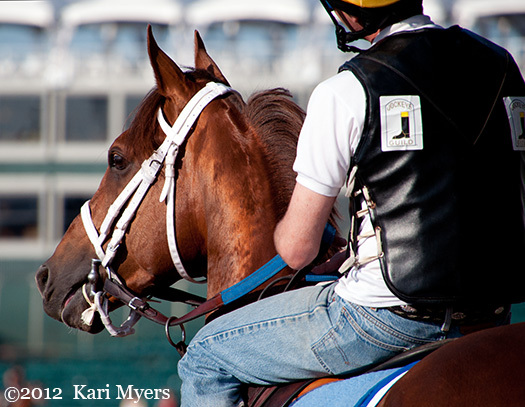 Mr. Pletcher’s lone Belmont win came in 2007 with the filly Rags to Riches, so you can never count out the girls. To top things off, it appears that Rosie Napravnik might get the mount on Unlimited Budget, which would make them quite a popular pair. 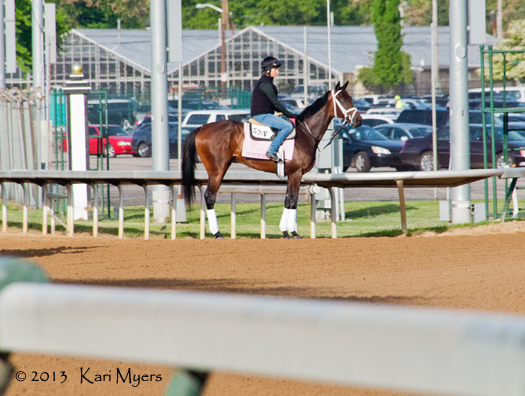 May 2, 2013: Unlimited Budget calmly takes in the scene on an early Churchill Downs morning.